Who had the know-how & who stands to gain? The jarring image of the 757's tearing into the World Trade Center towers marked the end of America's freedoms as we know them, and the beginning of the doomday scenario many of us foresaw for "Y2K". 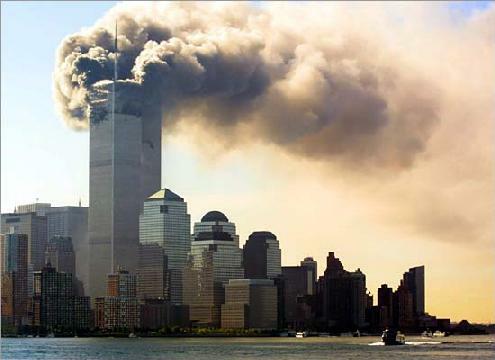 This attack jolted Americans, and rightly so. But we Americans often get taken advantage of in crisis situations in ways that are not immediately obvious. Agencies who wish to bring themselves more power will use this emotional time as an opportunity to do so. The Federal Emergency Management Agency has been jockeying for de facto control over the U.S. population since its inception in the 1970's. With the advent of the WTC attack, this has begun to take place. Along with the FBI, ATF, and the whole alphabet soup of martial agencies, they will take advantage of everyone's emotional vulnerability to sell the idea that they're needed to ferret-out terrorists from the population. For them, that means more money from Congress and a free hand in deciding what is and is not lawful. For us, it means a life of being controlled and monitored in every way they can conjure up. CAN WE FINALLY SEE WHAT THEY'RE UP TO NOW? U.S. response has been to provoke world support for the U.N. by appearing outrageously irresponsible in its conduct in the Middle East. Why would U.S. leaders deliberately inspire the world's hatred for us? The U.N.'s supporters have been looking for a plausable way to turn the U.N. into the One Monster Governing Agency of the world. With the U.S. seen as "out of control", the world will clamor for the U.N. to forcefully counterpoise America's military posture. Unfortunately, most people will welcome this intrusion. Yes, America's leaders are loyal FIRST to Global Government. What could have more visual impact on Americans than than to eyewitness the destruction of the tallest buildings in the heart of New York in broad daylight? Because of this painful vision of our vulnerability, many of us are ready to sacrifice personal freedoms to none-too-benevolent agencies under the misconception that such is necessary given the present circumstances. But we have to keep an eye on overkill in these efforts. On the day of the WTC attack, all major government agencies were given emergency powers. This comment drew no attention due to the catastrophic extent of the day's tragedy. But it could forever change the amount of freedom and personal "sovereignty" we will experience as citizens. Anyway, the end result of this may be our own enslavement... so we can all "feel safe." But if we can pressure our politicians to let America fight at its own discretion - without the U.N. - and keep a judicious eye on what the news media are telling us and watch out for emotional manipulation, we might have a chance of establishing freedom once again.